Israel has a long tradition of academic excellence, boasting world class universities, colleges and research institutions. Israeli higher education institutions provide a diversity of academic programs in English for international students at the Bachelor and Master’s degree level ranging from short-term courses to full degree programs. Israeli Institutions also welcome international students and researchers for PhD and Post-Doctoral research and assign them with leading researchers in the field. All of these are supervised by the Council for Higher Education, the state body responsible for Israel’s higher education system. All Israeli universities and 41 of the colleges are publically funded, while 12 colleges are privately funded. Israel is a world leader in science and engineering. Israeli scientists have won 4 Nobel Prizes in chemistry, 3 Turing Awards (computer science) and 1 fields Medal (mathematics). Israel ranks 7th globally in the number of citations per scientific publication and is particularly strong in fields such as computer science, engineering, chemistry, and life sciences. Studying in Israel will give you the chance to work with leading researchers and cutting edge facilities in these fields. Israelis are known as out-of-the-box thinkers, risk takers that never take no for an answer. These qualities are what make Israel the “Start-Up Nation” and are the reason leading companies from around the world chose to open R&D centers in Israel. This sense of innovation is rooted in Israel’s higher education institutions, with many academic programs targeted for students who want to succeed in business and entrepreneurship. Some programs include opportunities to undertake internships in leading companies from around the world, giving you the opportunity to advance your career development. Drawing on its rich historical and cultural heritage and its dynamic contemporary art scene, Israel is home to leading higher education institutions in the fields of arts, design and music. You can study a range of arts-related fields including fine arts, fashion and jewelry, photography, industrial and urban design, and traditional and contemporary music. Many programs offer innovative and multidisciplinary elements, allowing you to develop your own particular interests and positioning you for a successful career in Israel and abroad. Since the first Kibbutz farmers struck their hoes in Israeli soil, a great deal of progress has been made in the agriculture sector in Israel. Israel's challenging environment and lack of natural resources has led it to become a kind of agricultural "incubator" of ideas, developing new kinds of plants as well as revolutionary agricultural technologies. Drip irrigation technologies are one famous example of Israel's success in this field. Israel's higher education institutions are engaged in teaching and research of many issues relating to agriculture and sustainability, which are of critical importance to the world's environment. Israel is located in one of the most interesting regions in the world which draws much attention worldwide. If you are considering pursuing a career pertaining to Israel or the Middle East, then Israel offers an unparalleled opportunity to acquire an in-depth understanding of its and the region's political, social and economic dimensions. Higher education institutions in Israel offer a range of programs in this field, from ancient to contemporary studies of Israel and Middle Eastern states, to Hebrew and Arabic language. Your learning experience will become much more valuable by experiencing first-hand what you have studied. Israel is the center of the Jewish world, and as such is the natural choice for students who are interested in deepening their understanding of Jewish religion, history, culture, and philosophy. Many historical sites of great importance to Judaism are located in Israel, including the ancient city of Jerusalem and Masada. Studying in Israel gives students the opportunity to work with leading scholars in this field and to immerse themselves in both ancient and contemporary Judaism. Which Institution is Best for You? In Israel there are different types of higher education institutions. The main difference arises from the type of academic degree the institutions award and how research intensive they are. Currently Universities award Bachelor’s, Master’s and PhD degrees and are the most research-intensive institutions. Academic colleges award Bachelor’s and Master’s degrees, whilst teacher training colleges award Bachelor’s and Master’s degrees in education. All types of institutions offer short-term and non-degree programs. The Academic Center of Law and Science offers degrees in Law Studies, Accounting, an interdisciplinary degree in Public Administration, Government and Law and Health Administration. The Center strives to provide students with a broad professional education and at the same time offers them practical experience in their field of study. The Center’s orientation ensures that on completing their studies, our graduates will be able – even in today’s changing job market – to embark successfully on their professional careers. The Center thus encourages students to combine their studies with active involvement in a range of social and community work. Established in 1994, MTA is an Israeli public higher education institution with a clear goal to provide excellent academic education, and to use its academic capacities to improve the lives of marginalized groups. We are dedicated to providing our students and community with academic opportunities that advance positive social change through the practice of a New Academia — experiential learning, applied research, and social commitment. Running schools in five academic fields as well as international collaborative initiatives and degree programs (Behavioral Sciences, Government and Society, Economics and Management, Computer Science and Nursing Science), MTA has proven its excellence for over 24 years of its operation: the College is placed among the best institutions of higher education in Israel and boasts a cadre of graduates who hold key positions in Israel and overseas. We nurture multi-sector partnerships that provide our students with a one-of-a-kind ecosystem for entrepreneurs, investors, sponsors and activists and attracts dozens of international executive and academic delegations every year and homing successful start-ups, social businesses and ngos. Dedicated to both academic excellence and accessibility, Achva Academic College enables residents of the south to manifest their academic and professional potential – regardless of socioeconomic background, ethnic-religious identity, or disabilities. Achva is also home to academic programs for Arabic-speaking students, Ultra-Orthodox (Haredi) students, and students aged “30+”; a Teacher Training Center; academic assistance programs that increase accessibility to higher education; and preparation courses for Bachelor degree studies. Our 3,500 Jewish and Arab students hail from cities, development towns, kibbutzim, moshavim, and Bedouin towns. Most participate in any of our 30 credit or volunteer community engagement programs. 2,500 students from all strata of the population, from all over the country. 5 masters degree study tracks. The Ashkelon Academic College was founded in 2000 originally as a branch of Bar Ilan University (founded in 1965). For 38 years it offered B.A studies through Bar Ilan University; in 2003 it began offering independent degrees. Since 2014 it has been offering M.A degrees in criminology, social work and applied economic. Areas of study are abundant and varied, including economics, banking, logistics, accounting, health sciences (nursing, nutrition, and public health), criminology, psychology, social work, tourism, computer science, sociology, Land of Israel studies and more. The college runs pre-academic programs for discharged soldiers and Sherut Leumi (Social Service) graduates, as well as preparatory programs for new immigrants or those in the process of making Aliyah. The campus was built in recent years, and is one of the most luxurious and advanced of its kind in Israel. It is comprised of classrooms, labs, in and off campus dormitories, and a convention center. The college runs a student aid program, a center for students with learning disabilities, a center for career consultation and more. Founded in 1999, ACE was established to support the current and growing technological industry in Jerusalem, to empower young adults, close socioeconomic gaps, and cultivate excellent engineers with a commitment to social responsibility. ACE Jerusalem is the only institute of higher education in Jerusalem which focuses purely on engineering. It enjoys collaboration with the Technion as well as exclusive Pharmaceutical Engineering labs established with Teva Pharmaceuticals, Ltd. Bachelor of Science engineering degrees are offered in Electronics and Electrical Engineering, Software Engineering, Pharmaceutical Engineering, Advanced Materials Engineering, Industrial Engineering, Mechanical Engineering, and Environmental Technologies Engineering. A Masters of Science in Software Engineering is also offered. Courses are offered in Hebrew. Established in 1906, Bezalel is, first and foremost, a group of talented, inspired and motivated artists and professionals. Both faculty and students are driven by a passion to create and by their dedication to quality and excellence. Bezalel has over 2000 students studying towards undergraduate degrees in: Fine Arts, Screen Based Arts, Architecture, Ceramics and Glass Design, Industrial Design, Jewelry and Fashion Design, Photography and Visual Communication. In addition, Bezalel offers graduate degrees in Fine Arts, Urban Design, Industrial Design and Policy&Theory of the Arts. Each department preserves the traditional knowledge, tools, materials and workshops collected over many decades, while using state-of-the-art software and cutting-edge technologies. Bezalel trains and prepares its students for a life of achievement and excellence. Our students receive a practical education along with a broad-based intellectual foundation. Bezalel has built an international network of art and design excellence. Alumni exhibit their work in the world’s leading venues, and Bezalel is a destination for students and the creative community from across the globe. For the past 20 years, The College of Law and Business (CLB) has been dedicated to preparing the next generation of Israeli lawyers and businesspeople for challenges facing the 21st century. We have combined the highest levels of academic excellence with a strong focus on both social and global outreach to cultivate leaders who champion the values of excellence, professionalism, and human rights. CLB recognizes the importance of global exposure in the business and legal fields, and therefore offers a unique series of English programs and educational exchange programs with partner universities worldwide, all dedicated to preparing students to face the evolving and dynamic global challenges. Another major aspect is the CLB approach towards creating a stronger society. Students participate in legal clinics, tutoring programs and mentoring activities, receiving hands-on experience while making a positive impact on society. CLB faculty members are leaders in their industries fields, and have acquired their degrees and have pursued their post-doctorates at the finest universities in the world. They are an integral part of the academic arena, in which cutting-edge research, stimulating workshops, scholarly publications and international conferences take place. Israel College of Applied Science (COMAS) is committed to professionalism and the success of its students and their involvement in research, entrepreneurial projects and social responsibility programs in Israel and abroad. Since its founding in 1978, COMAS has set the standard for higher education in Israel with over 9,500 students enrolling in ICA’s bachelor’s and master’s degree programs each year. COMAS is the country’s largest private college with nearly 1,000 faculty members, 50,000 graduates, and a beautiful 32-acre campus located in West Rishon LeTzion. The Holon Institute of Technology was established in 1969 and is today an independent public academic institution of higher education certified by the Council of Higher Education. HIT focuses on the teaching of sciences, engineering, computer science and technology, management of technology and design. It also emphasizes multi-disciplinary theoretical and practical research of innovative technologies. HIT trains highly qualified students and plays an important role in integrating them upon graduation into key positions in the industry. HIT aspires to quality and excellence in teaching and innovative research, and strives to introduce novel and unique cutting-edge teaching and research technologies. HIT also prides itself on its advanced academic achievements, application of innovative techniques, and interdisciplinary professionalism. HIT collaborates with the Israeli Industrial community and invites leading industrial and technological firms for on-campus recruitment. HIT offers both its students and its faculty members state-of-the-art resources and up-to-date equipment enabling the integration of theory and technology with practical experience for our students. the college envisages social and human development and aspires to make its own contribution to create a better society, based on involvement and justice. The college aims to be the home for involved and high quality students who want to make a difference – both in their academic studies and in their profession. Identifying talent, nurturing it and helping to realize its potential is what the Jerusalem Academy of Music and Dance is all about. Recognized since 1975 by the Higher Education Organization as an independent Institution, JAMD graduates the following Degrees: B.Mus., B.Ed.Mus., B.Dance, M.Mus. and M.Dance. The professors and teachers at JAMD are the finest in Israel and many are active internationally as highly acclaimed artists in the world of Music and Dance. JAMD fosters international ties with other schools of music and dance encouraging student exchange. The curriculum at JAMD is a mix of academic study and practical professional experience. The blend of cultures in its courses of study is reflective of the diverse backgrounds of its faculty and students. The result is an atmosphere where Middle-eastern music, European classical music, Jazz and Baroque Music are all taught under one roof. The Academy also constitutes an important artistic and cultural center in Jerusalem and influences the city’s cultural life due to its high artistic level, intensive activity, and the many performances it offers. It is a center of attraction for both culture lovers and students. Since 2004, the Kinneret College on the Sea of Galilee has operated in the Jordan Valley as an institution of higher education which offers bachelor’s degree academic study programs. The Social Sciences and Humanities School offers various bachelor’s degree programs: a B.A. in communications, a B.A. in Land of Israel Studies, a B.A. in tourism and hotel management, a B.A. in education and community, a B.A. in behavioral sciences and a multidisciplinary B.A. The Jerusalem College of Technology (JCT) was founded by Prof. Ze’ev Lev, Israel Prize laureate for Exact Sciences. JCT undertook the goal of training outstanding and value-oriented engineers and managers who would become a high-quality workforce in the Israeli economy. JCT’s mission is to produce leaders who are strongly committed to Israel, Jewish values, Learning Torah, to our People and to mankind. Max Stern Yezreel Valley College (YVC) offers undergraduate and graduate degree programs in a broad range of fields. Our ambitious research programs and research centers provide valuable experience for students and diverse opportunities for faculty and international researchers. Academic studies are rigorous, yet students and faculty enjoy small classes, state-of-the-art facilities, and a friendly, diverse campus. The college wishes to build Bridges: 1. Across cultural divides – creating a tolerant and supportive environment where students of different backgrounds can meet and interact, to dispel stereotypes and get to know “the other”. 2. To mainstream society – providing the training, skills and support that will enable students to experience success, and equip them for upward mobility. 3. Between academic and professional life – offering top-rated programs in Economics, Communications, Nursing, Psychology, Human Services and Education, among others, that give graduates a solid head start in their careers. 4. To the community – offering highly popular ongoing educational programs to the region’s senior citizens, who spent their youth building the foundations of this country. Netanya Academic College is an accredited institution of higher education and has currently more than 3,000 students studying for various academic degrees. Netanya Academic College is a non-profit institution, established for the benefit of the public, and as such, it operates for the students’ welfare and the enhancement of the teaching and research means. At the College you can find luxury study halls, computer laboratories, radio and television studios, a transaction room linked online to the central stock markets in the world, a rich library, Motorola Lab for computer engineering, the radio station “Kol Netanya”, a sports center including tennis, basketball, volleyball and mini-football courts; a water-sports center containing a swimming pool, a magnificent fitness room, cafeteria, dressing rooms and toilets, as well as an amphitheater, auditorium halls, a Senate hall and a unique cinema. Furthermore, luxury student dormitories, built with high standards, are at the students’ disposal. Established in 1995: BA in Humanities (Education), Law, Health Professions (Occupational Therapy, Communications Sciences and Disorders), Business Administration (majors in Marketing, Finance and the Capital Market, Information Systems and Accounting), Advertising and Marketing Communications, and Music. MA in Law, Humanities (Organizational Counseling, Jewish Studies) and Business Administration (majors in Marketing and Advertising, Finance and the Capital Market, Technology and Entrepreneurship and Human Resource Management). Campuses in Kiryat Ono, near Tel Aviv, Jerusalem and Or Yehuda. OAC degrees equip students with the practical tools and skills needed to succeed in each student’s chosen profession. Ono features a simulation center that prepares students exceptionally well for the job market, a network of legal clinics, programs for honor students, multicultural campus and activities, seminars abroad and applied research institutes. Ono is a highly entrepreneurial institution that is taking the lead in developing innovative approaches to education. ORT Braude College (OBC) was established in 1988 in the city of Karmiel, with the goal of developing an academic center to teach engineering while working in cooperation with industry. The college serves as an academic hub for the region, makes higher education more accessible to those living in the north of the country, and contributes to the overall educational enrichment of the Galilee. OBC offers B.Sc. and M.Sc. programs to its 3000 students in the following disciplines: Applied Mathematics, Biotechnology Eng., Electrical and Electronic Eng., Industrial Engineering & Management, Information Systems Eng., Mechanical Eng., Optical Eng., Software Eng. Faculty members of Braude College are engaged in both academic and applied research activities in Israel and internationally. OBC’s dedication to excellence and high academic standards provides its graduates with the education and skills necessary to meet their personal and professional goals in eng.&science. We cultivate independent learning, teamwork, critical thinking, innovative and entrepreneurial approaches. We expect our graduates to become multidisciplinary engineers, and possess a social and environmental awareness. Ruppin Academic Center has a long academic and professional history. Founded in 1949 to provide education for Israel’s agricultural settlements the center has become a leader in social sciences, management, engineering and marine sciences. Due to its high academic level, it was the first non-university institution in Israel to be accredited by the Council for Higher Education to award academic degrees. Ruppin maintains its innovative and pioneering spirit by developing unique academic programs designed to nurture a new generation of Israeli leaders attuned to ethical, social, and environmental awareness. Ruppin maintains 4 schools: the school of Social Sciences, Economics and Business Administration, Engineering and Marine Sciences ( degrees: B.A, B.Sc, B.S.N, B.S.W). There are also 6 Master’s degree Programs: Logistics and Maritime Systems, MBA, Immigration and Social Integration, Clinical Psychology, Clinical Gerontological Psychology and Marine Resource Management. Today Ruppin Academic Center in one of israel’s leading colleges, with far-reaching and innovative academic programs. It is known for its high standards of teaching applied in a warm attentive environment. .
SCE was established in Beer-Sheva 1995 and offers 6 bachelor programs in the follwoing departments: Electrical and Electronics engineering, Civil engineering, Chemical engineering, Mechanical engineering, Industrial engineering and Management, and Software engineering. In addition, the college offers Masters degrees in 3 departments: Software engineering, Industrial engineering and Management and Electrical and Electronics engineering. The college operates two campuses (Beer-Sheva and Ashdod) and has a continuously growing body of over 5,500 students. Sapir Academic College is located in the Northern Negev, about 1 hour away from Tel Aviv and Jerusalem, and 30 minutes from Beer Sheva. The campus is green and well-cared for, with many modern buildings. Sapir promotes studies on a high academic level, with an advanced and modern curriculum, which is relevant and adapted to the ever-changing needs of the labor market and scientific research. A Sapir degree is desired by many because it assures rapid integration in the labor market or postgraduate studies at prestigious academic institutions. Sapir also has a School for Practical Engineering and Technology, a pre-academic center and a Center for External Studies. The college campus is located in a area of rural towns and villages, and offers state-of-the-art classrooms and labs. It also offers quality catering, sports, cultural and welfare services. Sapir provides hundreds of housing units and dorms in neighboring kibbutzim and small cities, all contributing to a lively student life. Today, over 8,500 students study in Sapir’s campus in various programs that are a broad range of unique and exclusive programs, in some of the most innovative departments in Israel. .Established in 1984, The Schechter Institute of Jewish Studies in Jerusalem is devoted to the broad dissemination of Jewish studies, conducted in an inclusive and tolerant environment. Our goal is to strengthen Jewish identity in Israel by fostering unity through Jewish knowledge and education. 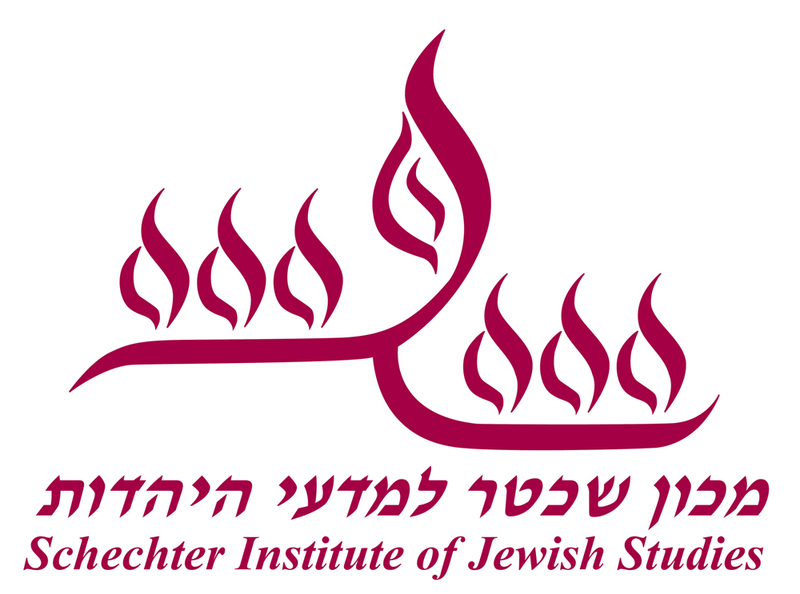 The Schechter Institute of Jewish Studies Graduate School offers innovative M.A. degree programs designed to train Jewish educators and sponsors research institutes of applied Jewish studies to serve Israeli society. Interdisciplinary Studies include Jewish History, Midrash, Jewish Thought, Talmud, Bible, Judaism and the Arts, Women’s and Gender Studies, Land of Israel Studies, Contemporary Jewry, Family & Community, Jewish Education, Sephardic Jewry, and Marpeh, a unique program specializing in Health-care Chaplaincy. Research Centers include The Center for Women and Jewish Law, The Center for Judaism and the Arts, and The Center for Applied Jewish Law. Shenkar College is a top-ranked Israeli academy, specializing in engineering, design and art. We enjoy the highest acclaim among international academic and professional circles for the quality of our graduates and for the innovations that emerge in our laboratories. Our goal is to foster an interdisciplinary environment where creativity and technology work together. A special emphasis is put on raising business awareness and developing entrepreneurial skills in our students through a number of dedicated units, such as ACT Shenkar Innovation Center, CIRTex and a student-run Dots. They lead regular extra-curricular activities exposing both our students and our faculty to recent developments in the industry. The Department of External and Continuing Studies at Shenkar College offers short-term post-academic programs in a variety of fields – from Gaming Design to Curating – providing grounding for beginners and further qualification for professionals. Tel-Hai College is Israel’s leading, excellent academic institution that conducts teaching and research while serving as a growth engine for the Galilee. Its rural location in the heart of the Upper Galilee is perhaps an unlikely setting for a first-class academic institution of 3800 students and over 800 employees. Its location mandates Tel-Hai’s mission– to produce cutting-edge academia and science of global significance and to leverage this activity to transform Israel’s northernmost periphery. Surrounded by breathtaking scenery and natural reserves, Tel-Hai attracts students and faculty from across Israel and is a hub of excellence. The Faculty of Sciences and Technology places a special emphasis on students’ scientific research experience. Accordingly, the academic curriculum in Biotechnology, Environmental Studies, Nutritional Sciences and Food Sciences includes numerous laboratory courses served by the Life Sciences and Physics laboratories. The Faculty of Social Sciences and Humanities offers state of the art undergraduate and graduate programs in Social Work, Psychology, Education, Economics, Human Resources, Drama and Art Therapy, and a unique program in Galilee Studies. Western Galilee College (WGC) leads the region as a center for academic excellence, advancement, and opportunity. Established in Akko, the college is at the heart of the rich cultural heritage of the Galilee. The college values high academic standards, and supports a culturally diverse and intellectually dynamic community. Thousands of graduates attest to the nurturing and stimulating academic home they found at WGC, as they advance in their professional and academic careers. WGC is offering high quality academic programs that are tailored to respond to the changing needs of the Galilee region. The College endeavors to develop labor-oriented degree programs that are relevant and interesting, and strives to integrate innovation and practical experience into the curricula. Zefat Academic College is located in the historical city of Zefat, an ancient city and the site of the 16th c. Kabbalah renewal movement. The College was initially established under the auspices of Bar Ilan University and later became recognized as an independent Academic College. The college aims to serve the population of the Galilee, and is unique in its multicultural population of both students and faculty, representing the diverse population of Northern Israel. It is a vibrant college accommodating some 2,600 students and about 300 faculty members, studying in four areas: Health, Social Sciences, Humanities, and Law. Among the departments and courses studied at the college are Physical Therapy, Nursing, Laboratory Sciences, Social Work, Emergency Medicine, Behavioral Sciences, Literature, Art and Music, Spirituality and Mysticism, Computer Science, Special Education and Business and Criminology. The College is pleased to announce the opening of the new Nursing Master’s Program, a historic breakthrough in the development of the College as an academic institution offering advanced degrees. The College plans to open a Physical Therapy Master’s program in the near future. As a leading institution, Al – Qasemi College promotes the development within its organizational and educational spheres.On the educational level, to accomplish the vision of creating an academic environment that facilitates and fosters both high quality intellectual achievement, and a culture of dialogue to formulate a national platform that enables students’ exposure to the outside world and other societies.Furthermore, in 2013 Al – Qasemi College was awarded the number one research presentations in the 6th National Conference on Teacher Education held at David Yalin College in 2012, and was awarded severally over the past decades for its distinguish achievements and management.It is noteworthy that the college executes different projects that emphasize internationalization of education, and it has internationalized courses that deal with current issues.Finally, Al – Qasemi College has been working on establishing a number of international agreements with institution of higher education abroad for conducting diverse projects and programs. the college has made srides academically, educationaly and socially over the years. the college vision concentrates on humanitarian principles and multiculturalism that integrate cultural and educational values from the east and the west. today there are about 5000 students who are studying at the college, and there are 250 lecturers and 100 administative executives, officials and secretaries. they come from all religions and sectors. 1996- the college recives recognition as an institute of higher education that grants the degree of B.ED., and in 2010 M.ED. The Faculty of Education prepares students to be innovative educators and social leaders. Our graduates comprise a significant portion of Israel’s teachers, principals and education professionals in formal (k-12) and nonformal education. The Faculty of Arts – Hamidrasha nurtures artists in the fields of painting, sculpture, photography, video art, digital media, and film. Our staff and graduates are among Israel’s leading artists and art teachers. The Faculty of Society and Culture combines departments in the humanities, culture and social sciences. We teach literature, history, Hebrew and Arabic language and literature, geography and Israel studies, Bible and Jewish culture, as well as criminology, public administration and policy, gender studies, and more. A list of courses in English is published on our website. Sakhnin Academic College trains educators, teachers and kindergarten teachers and grants them B.Ed. and M.Ed. degrees in Education as well as a teaching certificate. B.Ed. Students study within one of the following tracks and areas of specialization: Early Education; Special Education; Junior High School; Elementary Schools. Students can do Master’s degree in: management and organization of education systems, educational consulting, school-based assessment and special education. The College offers a wide variety of programs for undergraduate and graduate degrees as well as teacher certification, 4 types of therapies, diploma studies, continuing education, and pre-academic preparatory courses. The programs are based on updated theories, research and practical implications, referring to formal and non-formal education from kindergarten up to secondary school and special education. The College’s diversity and the backdrop of the multifaceted city of Jerusalem make it a perfect site for high quality of academic and practicum experience. Our vision consists of humane, pluralistic and socially proactive values. The College is committed to core value regarding excellence in education; tolerance, sustainability and multiculturalism; social involvement; inclusion of people with various needs in the society. The College is dedicated to community involvement in all sectors of life in Jerusalem and leads many social initiatives. The Faculty, experts in their field, is attentive to students’ academic and personal needs. Special units provide fellowships as well as assistance to students who face academic challenges, financial difficulties, and /or other problems. The Academic College in Givat Washington is accredited by Israel’s Council for Higher Education. Its graduates earn a Bachelor’s degree in Education (B.Ed) and teacher’s certification in nine fields of expertise, including Math, English, Literature, Physical Education, Bible Studies, Special Education, Preschool-Education, and Science. In 2014, the College inaugurated its department for Instrumental Music Education, the first of its kind in Israel. Full-time students complete the requirements for their degrees within four years. The college also offers graduate degrees (M.Ed.) in Physical Education and Bible Studies. Facilities: Located in a beautiful rural area near the port city of Ashdod, and spanning over 50 acres, the multi-facility campus provides students with comfortable dorms, large dining halls, technically equipped classroom buildings, lecture halls, academic libraries, computer rooms, and specialized equipment, including a recording studio and science lab. In addition, the students enjoy an indoor Olympic swimming pool, gym, indoor and outdoor basketball courts, soccer fields and tennis courts. College President: Professor Shlomo Margel .. The Gordon College of Education in Haifa ,established in 1953,is one of the oldest teacher training institutions in Israel and has been training K-12 teachers for more than 55 years. The college offers courses of study leading to a teaching certificate, B.Ed. , M.Ed. and M.Teach. degrees . Hemdat Hadarom Academic College was established in 1995 as the sole religious college of education in the region. The campus is located in a verdant rural area in the S’dot Negev regional council. The college awards Bachelor’s and Master’s degrees in education to hundreds of graduates each year. The tracks and specializations at the college: B.Ed. in Early childhood (Sciences and Bible), Elementary school (Bible, Oral law, science, mathematics), Middle school (Life Sciences, literature, Bible), Special Education and English as a foreign language. M.Ed. in Educational Systems Management, Science Education, Bible in affiliation with Jewish culture. All the college students participate in a unique program that combines training, experiential workshops, and volunteering in the community that sensitizes them to become empathetic teachers who are attuned to teach pupil’s needs, feelings, and the cultural-socio-economic background from which each child comes. As a community-based college Hemdat Hadarom seeks to create a close connection with local communities. The college nurtures its relationships with educational supervisors, school principals, and various study track coordinators. Michlalah – Jerusalem College is an academic college that specializes in teacher training. The college offers 10 specializations at the B.Ed. level (Bible Studies; Early Childhood Education; Educational Technology; English; Jewish Philosophy; Literature; Mathematics; Music; Science Education; Special Education) and three specializations at the M.Ed. level (Interdisciplinary studies in Oral Law and Jewish Philosophy; Science Education and Mathematics; Leadership and Organization of Educational Frameworks). The college has a student body of 2184 students; 1756 studying for the B.Ed. degree; 260 studying for the M.Ed. degree; 168 overseas students in a one year academic program in Jewish studies accredited by the college as well as by a number of United States universities and colleges. The college has a faculty membership of 377 academics, 133 are categorized as senior faculty and 244 as junior faculty. Kaye College is the leading academic institution for teacher education and professional development of educators in the south, serving both the Jewish and Bedouin populations in the south of Israel or the Negev. Its goal is to provide students with advanced academic knowledge, broad practical experience, competencies and skills to integrate themselves into the changing future of the educational system in Israel. Students earn a B.Ed. degree and teacher certificate, for teaching from kindergarten to high school in a wide range of specializations (Humanities, Science, Math, English, Special Education, Early Childhood Education, Physical Education, Art Education and Informal Education). Also, a pre-academic setting enables Jewish and Bedouin youngsters to earn the matriculation diploma. The College offers five programs towards a Master in Education (M.Ed. ); Educational Counseling, Learning and Instruction, Physical Education and Sports for Excluded and at Risk Communities, Education in the Era of Technological Information, and a Master’s Degree in Teaching (M. Teach). We offer a wide range of degrees and specializations for B.Ed. and M.Ed. other training programs and continuing education courses. institutions for the quality of its faculty and its treatment of students. Established over 100 years ago, LCE is the premier academic institution in Israel for teacher training. Maintaining high standards, LCE confers a first degree in education for undergraduates and for university graduates retraining as teachers, a second degree in education with an optional thesis, M.A.A.T. (Music Therapy), M. Teach, (Master of Teaching) and special programs adapted for specific groups. LCE’s goal is to foster educators and researchers who are sensitive, contemplative, and creative, are activists in their communities and leaders in their working environment. Teachers, educators and para-educators will find a welcoming home in LCE and will be encouraged to continue to develop throughout their professional lives. Graduates of LCE have made their mark on the Israeli education system in positions of instruction, administration and development. LCE strives to provide and instill uncompromising academic excellence, promote quality teaching and lifelong learning, initiate technological innovations, and cater to the changing needs of a pluralistic and multicultural society. LCE aspires to lead essential change in education and society via research and pedagogical innovation. For forty years The NB Haifa School of Design has served as a center of attraction for young people seeking to educate themselves for the real world, where creativity and education are interweaved. Our ambition has always been to educate the leading architects, designers and teachers in their fields, who will lead the way as intelligent, dynamic and creative individuals, integrating abstract thinking capabilities regarding essential issues and values, together with professional knowledge and skills. Accordingly, the syllabus expresses a holistic approach, integrating knowledge, proficiencies, openness, social sensitivity and humanity, imagination, creativity, thinking, introspection and self-inspection. All of this, in an advanced learning environment, which offers diverse and advanced technological tools and resources to its students. Ohalo College in Katzrin is an Academic Institute for Education, Sciences and Sports. The College currently has 2,000 students, of which 60% are studying in the Education and Teaching professions and the remaining students are in continuing education programs, advanced studies, professional development and external studies. The overall task that Ohalo has set for itself is to shape a new generation of high quality teachers who will become a “spearhead” of relevant, future-oriented and value-committed teaching in Israel, with a special emphasis on the northern region. Today’s teachers will need to help students develop their inter-personal communication and teamwork, creativity, aptitude to problem solving, flexibility and adaptability, self-management, self-development and computational thinking. Through the many courses that deal with leadership and means of leading educational change within the formal and informal educational systems, we are training our students to become the best educational leaders of the 21st century. Oranim College of Education is the largest and leading academic college of education in the North of Israel, catering to thousands of students enrolled in bachelor’s and master’s degree programs in education, teaching certification courses, and advanced career training. The academic programs at Oranim provide a unique and empowering learning experience, integrating topnotch disciplinary knowledge with hands-on experiential learning and personal support. Oranim International School brings scholars, educational practitioners, and students from around the world to the pastoral campus of Oranim College in the north of Israel in order to study, teach, and research in the spirit of Oranim’s values: educational innovation and leadership combined with academic excellence, sensitivity towards individual differences and cultural diversity, strengthening personal identity, and accepting collective responsibility. We work in close partnership with schools, educational institutions, and communities to create an international center promoting knowledge, research, and dialogue. Herzog Academic College is Israel’s largest religious, academic institution offering academic and pedagogic training for future teachers in Israel and the Diaspora. The cutting-edge tracks combine religious and academic excellence and meet the requirements of the Ministry of Education and the CHE. Bachelor of Education (B.Ed.) studies include academic-pedagogic training and optional specialization: Posture Cultivation and Preventive Exercise, Cardiac Rehabilitation, Adapted Physical Education, Physical Education for the Elderly, Sports Management, and Physical Education in Early Childhood. B.Ed. studies are divided between the School of Education and the School of Physical Education. The aim of the School of Education is to prepare the College’s graduates as educators, to inculcate them with pedagogical and didactic knowledge and to develop their ability to apply the knowledge. The aim of the School of Physical Education is to expose college students to the movement and sport sciences, to prepare them as professionals by enhancing their knowledge through research. Studies for a Master’s degree in Physical Education Sciences and Sport (M.P.E.) include elective courses in the life and behavioral sciences. The aim of the program is to train a high-level academic cadre to promote research and development in the movement and sport sciences, expand teachers’ knowledge and their use of research methods for teaching Physical Education and sport in all educational systems. Since its inception in 1955, Bar-Ilan University has grown into a top academic institution. With 17,000 students, 700 faculty members, 10 impact research centers and 45 partnerships with worldwide leading Universities, Bar-Ilan University delivers academic excellence combined with internationally recognized research. BIU is centrally located on the outskirts of Tel Aviv, offering an enriching experience both on and off campus to its international students. The International School caters to its students needs offering over 25 degree and summer programs instructed in English, a fully encompassing student services center, a wide selection of social organizations and modernly renovated dormitories. Programs include a diverse set of summer sessions, including hot topic areas, such as Conflict Resolution, Biblical Archaeology, International Business, NanoPhotonics and Data Science – to name a few. Ben-Gurion University of the Negev is the fastest growing research university in Israel. Just shy of its 50th anniversary, BGU is an agent of change, fulfilling the vision of David Ben-Gurion, Israel’s legendary first prime minister, who envisaged the future of Israel emerging from the Negev in the south. In Beer-Sheva a vibrant, cutting-edge powerhouse in research and teaching has risen; It is committed to social and environmental responsibility and is working to develop the Negev, Israel and the world. The University attracts excellent students and researchers from Israel and abroad, original thinkers with a developed social conscience, who integrate into the country’s leadership in a variety of ways. The Open University of Israel was established in 1974 with the aim of making higher education accessible to as wide a population as possible. Open admission policy for undergraduate programs; the uncompromising academic quality of study programs; intensive research activity; distance learning programs utilizing state-of-the-art e-learning technologies and face-to-face academic tutorials conducted in sixty study centers throughout Israel, are the main features that make the OUI what it is. Through challenging academic programs, the development of advanced distance learning methods, and reaching out to the geographical and socioeconomic periphery, the Open University strives to be a leading force for social inclusion and academic empowerment in Israel, while maintaining excellence in academic teaching and research. Technion – Israel Institute of Technology is a public research university in Haifa, Israel. Founded in 1912, Technion is the country’s oldest university. The institute offers degrees in science and engineering, and related fields such as architecture, medicine, industrial management and education. Technion, is a major source of the innovation and brainpower that drives the Israeli economy. Technion graduates represent 70 percent of the high-tech workforce and established Israel’s industrial infrastructure, reinforced its technological defense capabilities, and pioneered its technology-based enterprises, that has earned the country’s reputation as the world’s “Startup Nation”. Set on a modern campus, Technion is home to a prominent faculty, among them three recent Nobel laureates, and a long list of notable alumni including engineers, scientists, physicians, professors and entrepreneurs. The institute has also been acknowledged as one of the world’s leading entrepreneurial ecosystems and incubator for future successful entrepreneurs. Tel Aviv University is located in Israel’s capital of innovation and culture. Ranked as one of the world’s top 10 cities, Tel Aviv is known for its entrepreneurial atmosphere and exciting social lifestyles. Ranked among the world’s top 100 universities , TAU has a strong interdisciplinary focus and collaborates closely with leading institutions worldwide. TAU is Israel’s leading university, attracting talented students and renowned faculty from around the globe. TAU International programs are designed for students eager to challenge themselves with a high level academic experience. You will enjoy the “real” Israel by living and studying alongside Israelis. Your classes will be enhanced by field trips, cultural and overnight excursions, social events, and much more. You will also gain real-world professional expertise through internships, guest lectures, and workshops with some of Israel’s leading experts. A global hub on campus, the TAU International office is your home during your time in Tel Aviv. The TAU International staff is always available to answer questions, and events are organized on a regular basis for international students. The University of Haifa is one of Israel’s leading research universities, and is dedicated not only to academic excellence but to social responsibility as well. An exciting and inspiring cultural mosaic, the University of Haifa is a microcosm of Israeli society. The diverse student population of 18,000 students is made up of Jews and Muslims, Christians and Baha’i, Druze and Bedouin, new immigrants and native Israelis alike. There is also a growing number of international students from around the world. There is no better place to launch your career in science than at the WIS, a world-leading research facility in basic science. At the WIS, we value the innate human spirit of curiosity, innovative thinking, ingenuity, and passion for science. The Institute is comprised of approximately 250 research groups led by PIs who explore a myriad of scientific questions, often through interdisciplinary collaborations—a hallmark of the Institute. Degrees are offered through the FGS, with over 700 PhD students (4.5-year program), 300 MSc students (2-year program), 350 postdocs (most from abroad), and close to 60 visiting students at any given time. Tuition is free, and all our students receive generous living stipends. As an international student, you will be entitled to free medical insurance, professional training insurance, paid maternity leave, annual vacation and sick leave, and free visa services. About 150 courses are offered every year, and the language of instruction and daily work is English. Three Nobel laureates and three Turing Award laureates have been associated with the WIS, four of them FGS graduates. Israel is at the cutting-edge of research across many fields. It ranks amongst the highest in the world in R&D expenditure as a percentage of GDP and in citations per academic publication. The Israeli Government has partnerships with many countries and institutions around the world which offer funding opportunities for international collaboration in research, and Israeli faculty welcome international students and researchers for PhD or Post-Doctoral research. If you are interested in undertaking research in Israel, the first step is to find an academic supervisor who works in your field of research and agrees to supervise you. Once you have undertaken this step, you need to undertake the registration process via the host institution. For more information on the application process and on available scholarships please refer to Planning. Internship programs are a great opportunity for you to embark on your chosen career path while studying, and there is no better place to do so than in the “Start-Up Nation”, Israel! Israel’s higher education institutions and other organizations offer a range of programs with internship opportunities with exposure to the Israeli hi-tech scene, business, consulting, governmental sector, non-profit sector and more. Undertaking an internship gives you the chance to polish your skills and CV and to make contacts which will help launch your future career. We encourage you to check out the various internship opportunities available in your field of interest with Israeli higher education institutions.